RTC Employment Services provides assistance for getting a job, learning new job duties, and keeping a job. We offer specialized services to make you successful at finding and maintaining employment. RTC Employment Services works in conjunction with government and private programs to provide vocational supports for our clients and employers. We have many partnerships to make these services possible. Our team of professionals has worked hard to develop good relationships with employers so you will be able to get and keep a job suited to your needs and abilities. We provide services in the following counties: Champaign, Clark, Hardin, Logan, and Union. If you have ANY type of disability or "barrier to employment" such as: carpal tunnel, depression, anxiety, heart or lung problems, diabetes, back problems, or any physical, mental or emotional barrier that keeps you from a job or career, we may be able to help you you start back to work. It won't cost you anything but a little time. We offer specialized services to make you successful at finding and maintaining employment. Recovery Supports - services for individuals dealing with addiction & mental health. Community Based Assessment - a work experience to determine your current skills and abilities. Job Seeking Skills Training (JSST) - polish your resume & brush up on your interviewing skills. Job Development - receive specialized help in finding the right job for you. Job Coaching - one on one supports after being hired to ensure success on the job. Career Exploration - to assist in selecting an employment goal. Summer Youth Work Experience - to introduce high school students to the world of work. Supported Employment - continued supports for eligible DD clients after gaining employment. RTC Employment Services has been serving the community since 1970. We provide employment services to employers and clients. RTC Employment Services is able to assist with training your new employee, teaching different job skills, and providing pre and post employment needs. Save on Training Costs - One of our trained job coaches can save you and your employees time by teaching the job to your new employee and ensuring quality. WOTC Tax Credit - We complete the majority of the paperwork for you. You just have to input your information and send it in. Provide Additional Support for New Employees After Being Hired - We provide services that help ensure stability and success. DJ (EWH employee 19 years) and Kathy (EWH employee 5 years) receiving a plaque at ewh spectrum. RTC supports recovery through finding meaningful employment. Supported Employment provides the holistic support needed to be able to get back to work successfully. This service is possible through the team effort with The Mental Health Drug and Alcohol Services Board of Logan and Champaign County and RTC Employment Services. 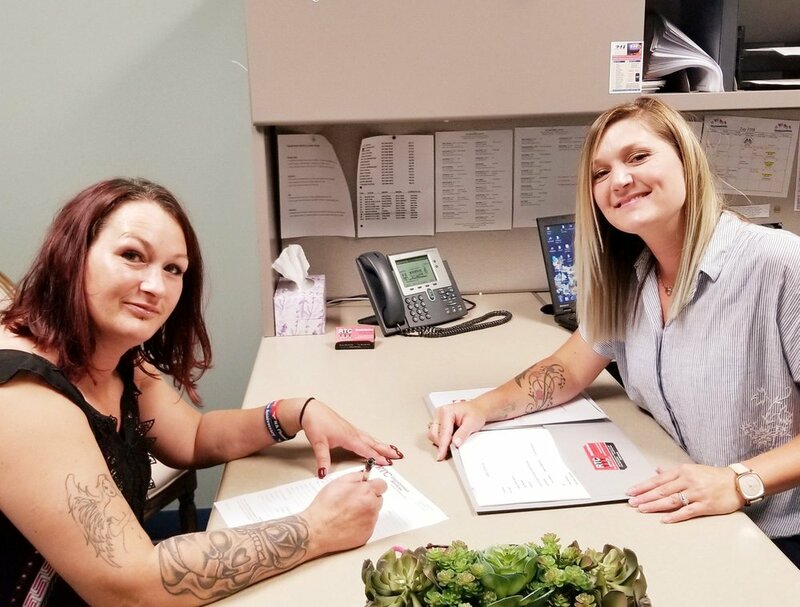 Through this service, we are able to work with people who are referred by Consolidated Care Inc., Residential Administrators, Soteria House, Family Treatment Court, Recovery Court, Adult Probation, Municipal Court and Community Health and Wellness. Our Supported Employment Specialist works one on one to determine the barriers and then develop a plan as a team to overcome those barriers. Assistance with barriers can include; job readiness (resumes, mock interviews), treatment, balancing schedules, work attire, housing, transportation, and getting licensing/certificates as determined. Call our office and ask how to be connected. We are not a temporary agency. We will find permanent employment with you.